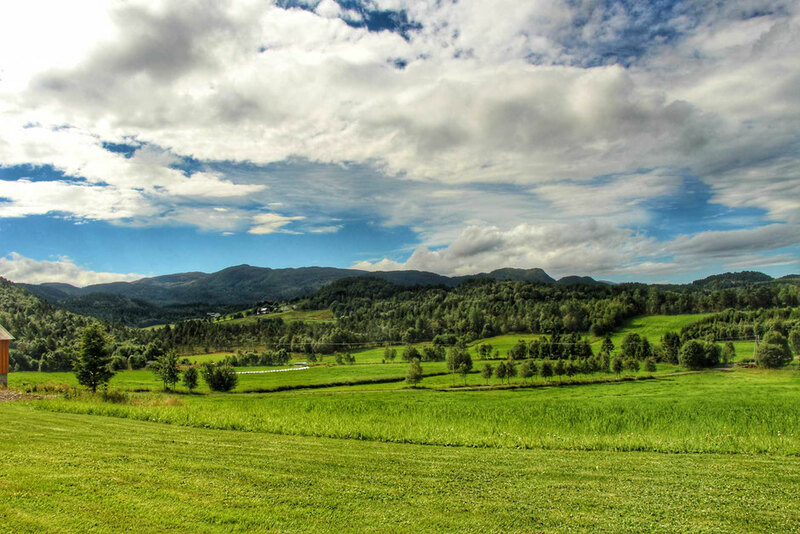 Though we really enjoyed our time in the larger Norwegian cities, like these 5 days in Oslo with kids and doing all the best things to do with kids in Bergen, it was time for us to take to the road and experience some of the more out of the way attractions. 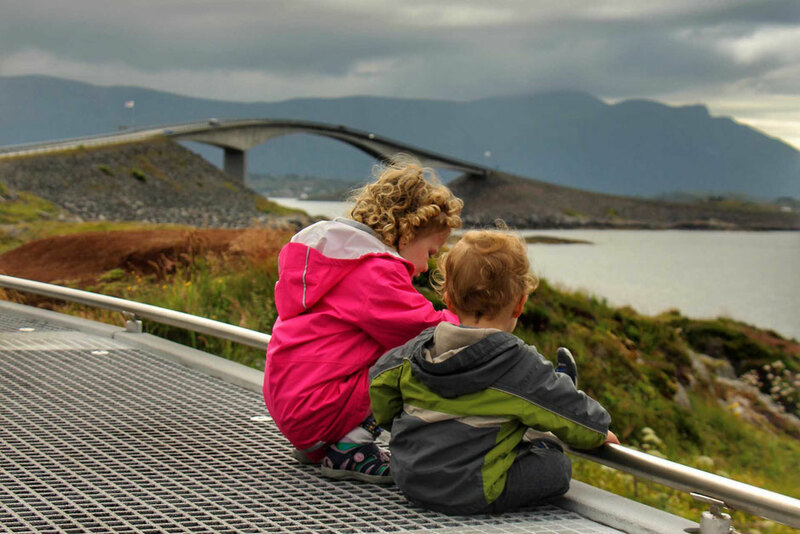 To make the most of our time, we chose a 7:20 am flight from Bergen to Ålesund, which meant getting the kids up at 4:30am – so early, but they are troopers! After the short 40 minute flight, we collected our rental car. Driving and car rentals can be a pain with young kids, since it always has the added problem of figuring out car seats. 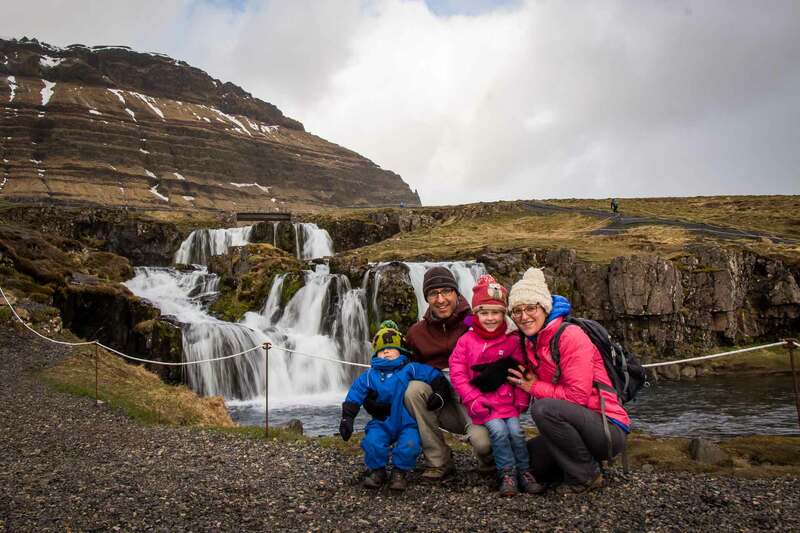 We would typically try to rent from a Baby Equipment Rental company but we could not find any in Ålesund. As a last resort, we booked the car seats through the car rental agency. 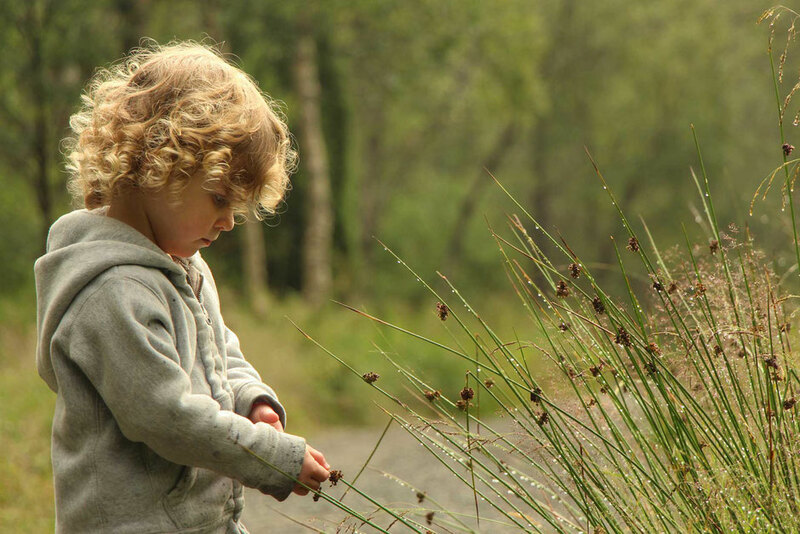 We were initially worried about the ‘no guarantee’ on child seats that you always see car rental agencies post, but our concerns were unfounded. Not only were the car seats in great condition, they were installed for us (properly, since I double checked it). I don’t think this is common, but we were very grateful for this! 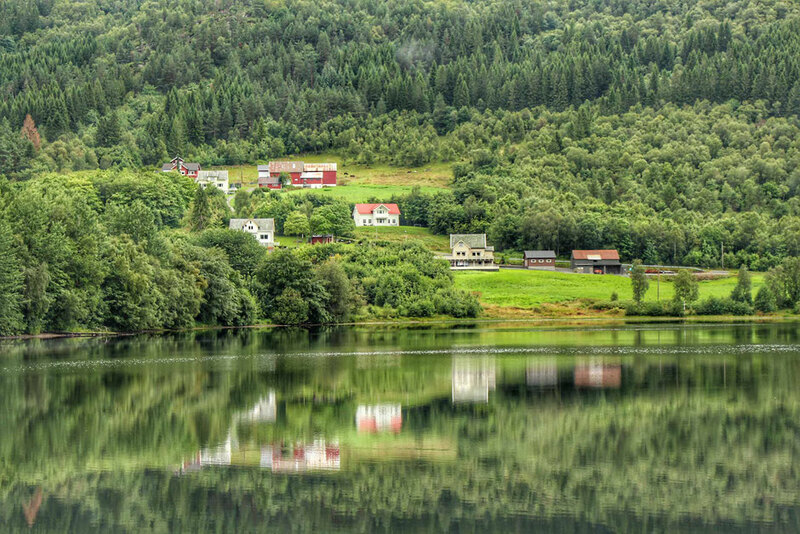 In an effort to see more of the countryside, we booked an Airbnb farm house in Aureosen that was a 2 hour drive from the Ålesund airport. 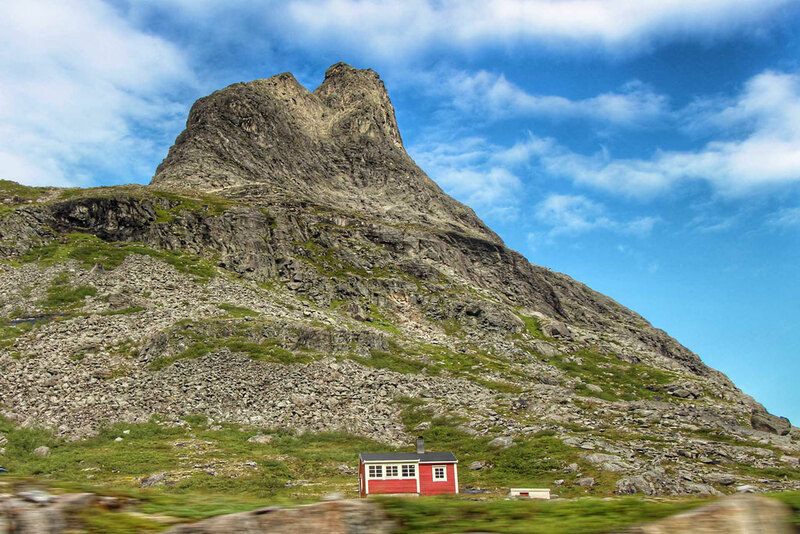 This location would allow us to explore the area plus visit the Atlantic Road and Trollstigen, the two must-sees on our list. The drive itself was incredibly scenic along the coast, through villages, forest and farmland. We even got to drive through some really long tunnels, which were a fun novelty for us. The drive itself was easy, aside from a few instances where the road got very narrow, but the roads were quiet and there were also little areas where a car can pull over to make room for oncoming traffic. 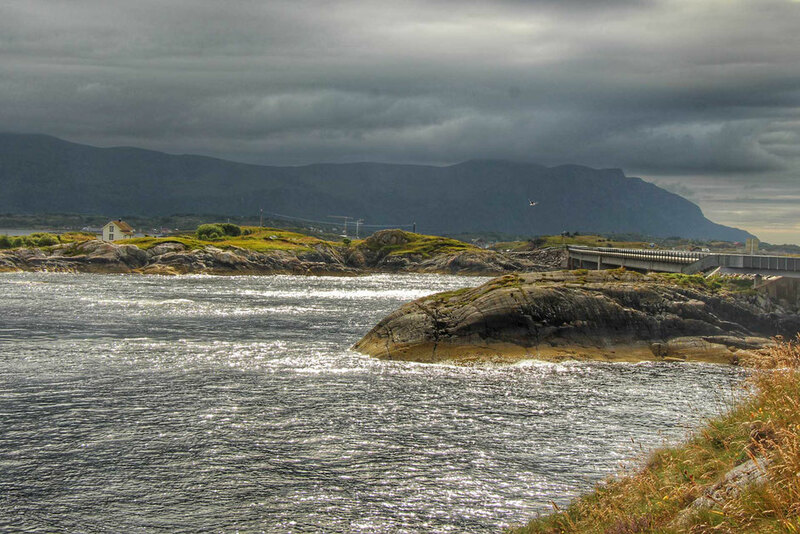 Our first afternoon seemed like the perfect time to do a drive out to see the Atlantic Road, known as Atlanterhavsvegen in Norwegian. 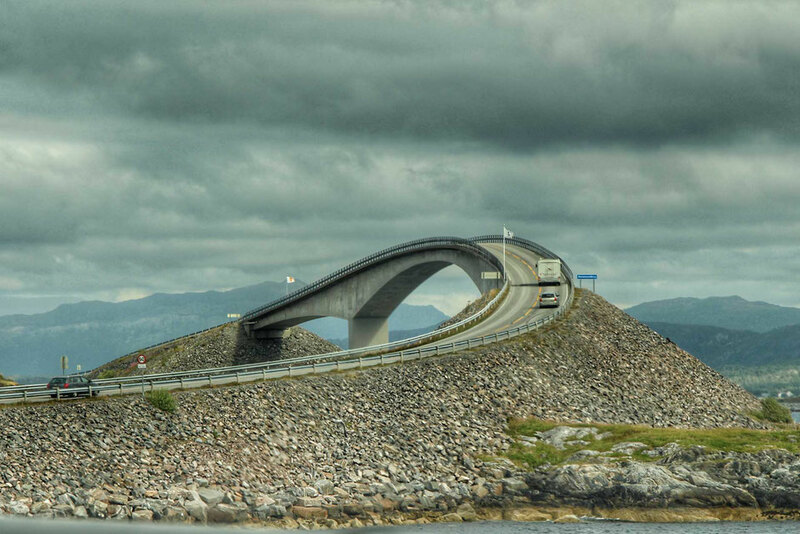 The Atlantic Road is between the towns of Molde and Kristiansund with 8 bridges over several islands and that span 5.1 miles (8.3km). 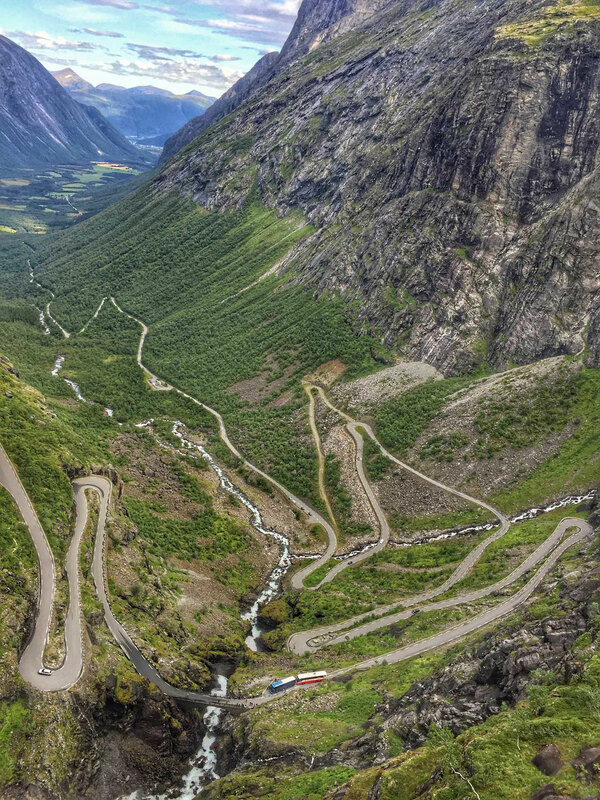 Not only is it a very popular tourist attraction, it holds titles like “one of the most scenic drives in the world” and “Norwegian Construction of the Century”. It is also a designated National Tourist Route and a Cultural Heritage Site. We started the drive at Bud, based on the suggestion from our Lonely Planet. The drive from Bud to Vevang was nice, but we didn’t feel it was worth the extra 1/2 hour drive. 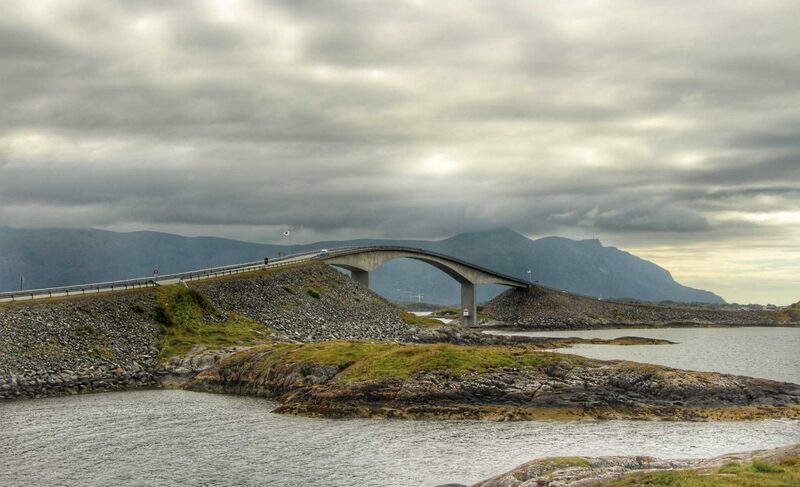 The drive along the Atlantic Road was beautiful and driving over the famous bridge you see in all the pictures was quite the experience. We also made two stops along the way to get out of the car and walk around. One was along a fun boardwalk at the information center, which gave us some great views of the largest bridge. Perhaps it was the weather that contributed to our experience, since it was very windy and threatening rain, but overall we were underwhelmed by our experience. Perhaps it was just our high expectations. 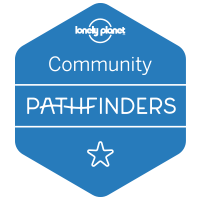 We did enjoy our experience and would recommend checking out this drive if you are in the area, but we wouldn’t go out of our way to do it again. 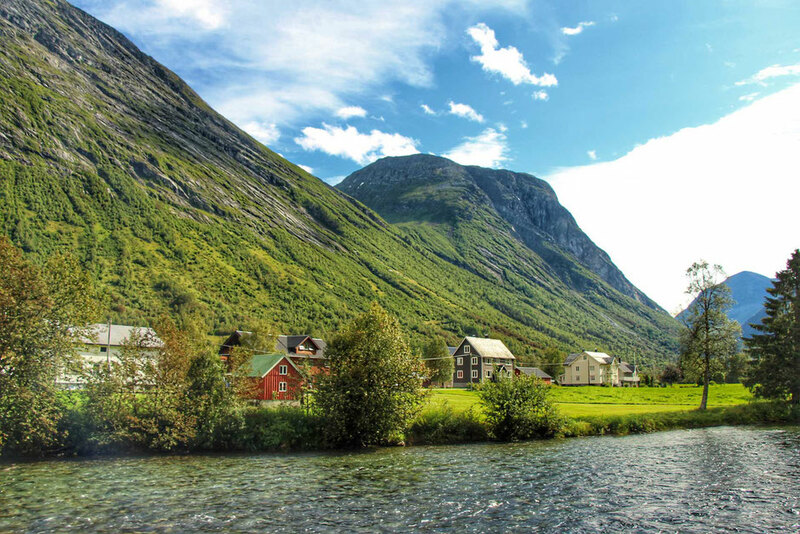 Don’t miss these other best places to visit in Norway that will take your breath away! 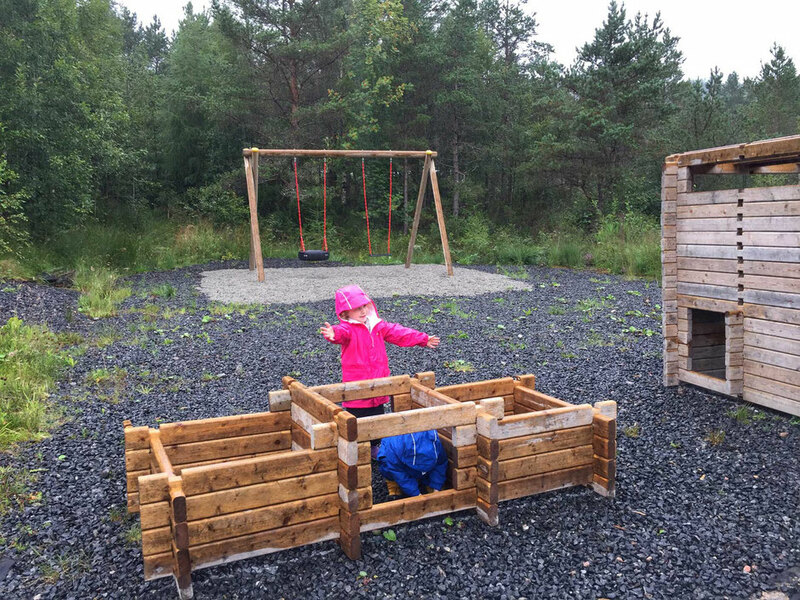 Not ones to miss out on a good hike, we found a family friendly one in the nearby town of Molde. We wanted one where the kids could hike portions on their own, since we had spent so much time in the car the previous day. 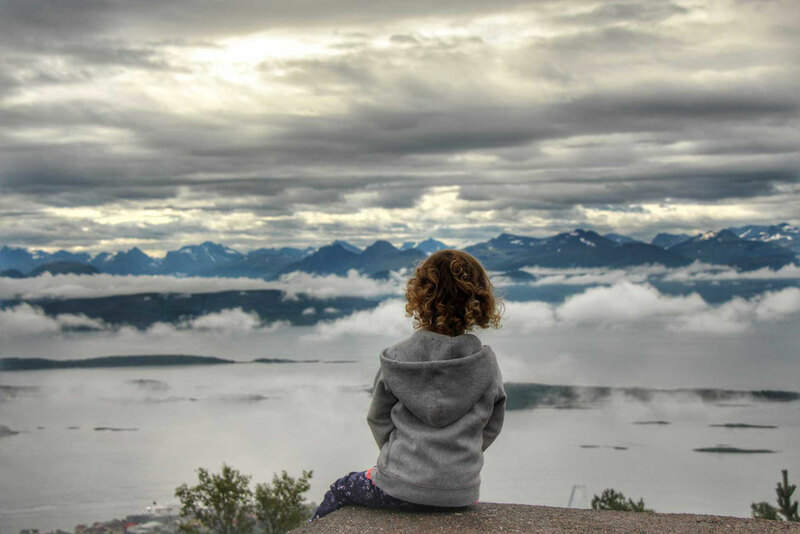 Based on the recommendation by our Airbnb host and the fact that it was rated #1 on TripAdvisor for the area, we drove to Molde to hike to the Varden viewpoint to see the famous Molde Panorama. 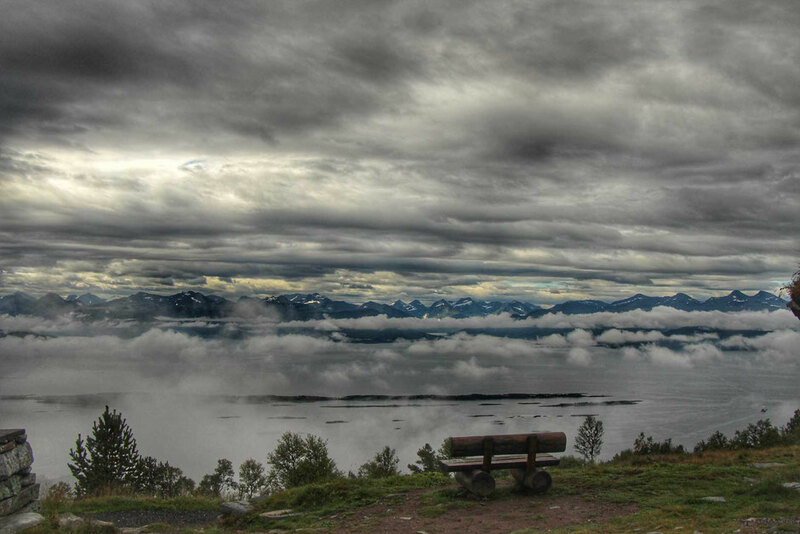 From the viewpoint, you get incredible views of the town of Molde, islands and the real prize – 222 snow covered peaks across the water. You can drive up to the viewpoint, but we decided it would make a great hike. 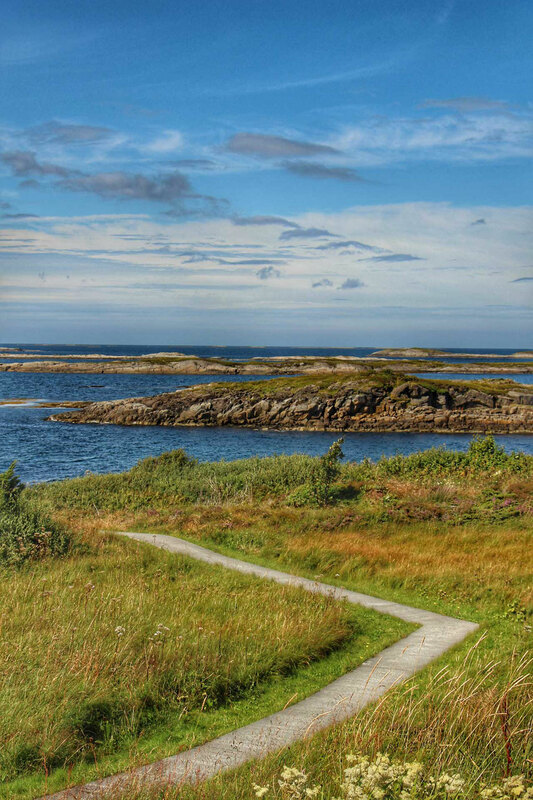 You can access the hike from the town of Molde. We parked our car in a trailhead parking lot on Sollivegan (right after the tunnel). 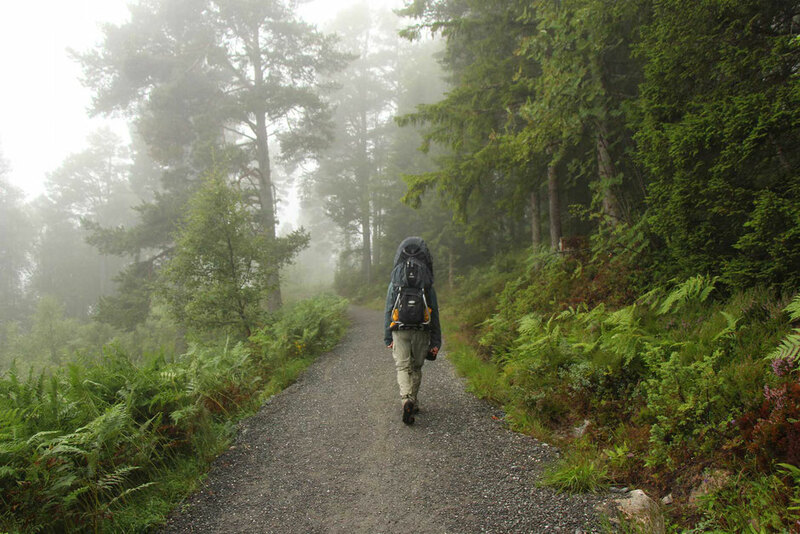 The hike was really good – it was through dense, lush forest with many wild flowers. There were occasional viewpoints along the way. The hiking trail was well maintained and wide enough for us to walk side-by-side. The hike was a reasonably short 1.5 miles (2.5km) one way but it was steep with 820 feet (250m) elevation gain. The kids walked a good portion of the way up. We were excited about the blue sky that greeted us that morning, but it wasn’t long before it started to get cloudy and a little rainy. We didn’t like our chances of seeing the view, but just as we got to the top the cloud lifted and the panoramic mountain view showed itself. 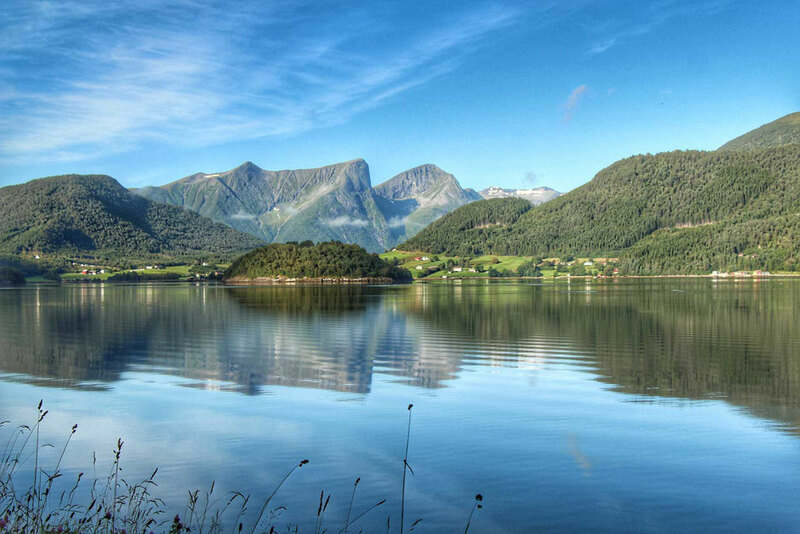 It really was a beautiful vista – amongst the most beautiful we’ve seen – the fjord, the island just offshore, the mountain peaks as far as the eye can see. We highly recommend this hike. There’s a cafe along the way and one at the top. There is a little cabin at the top with benches you can stop to rest & eat as well. It was a great spot to relax and let the kids play. In the afternoon we took the kids to a local playground. It was raining but they were dressed for it and weren’t bothered by it. 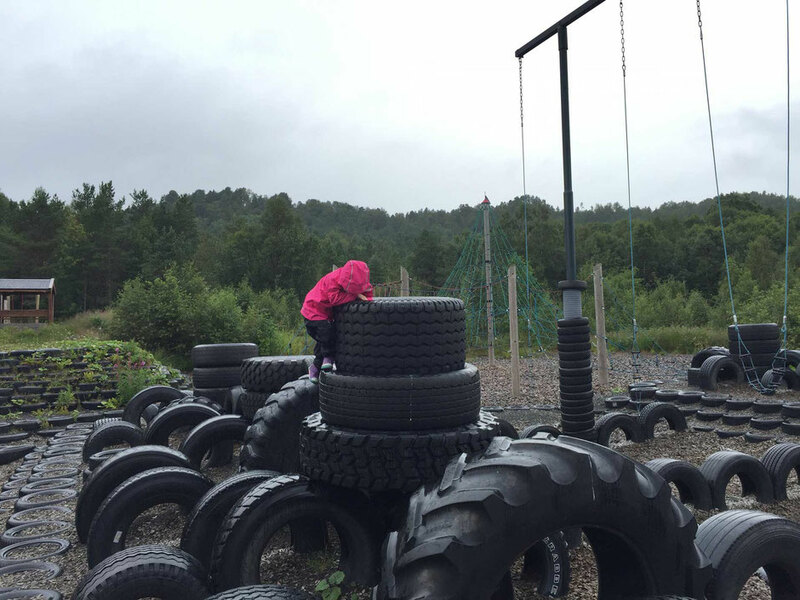 The main part of the playground was a big tire park, but they didn’t care for it much. They really enjoyed the fort building set which was made from notched 2×4’s. A very creative toy, they had a ton of fun making little forts with the pieces that were easily available. 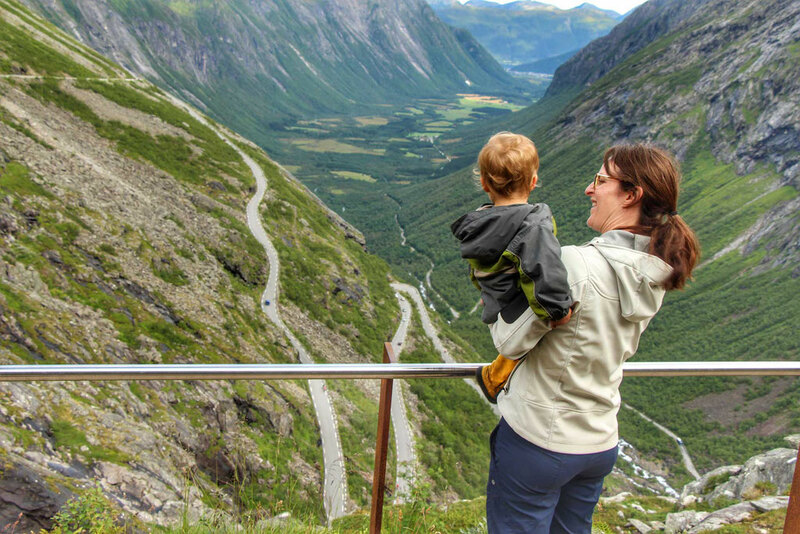 The most exciting part of our trip was to drive the Trollstigen Road, also known as The Trolls Road, which is part of the Norwegian Scenic Route; Geiranger – Trollstigen. 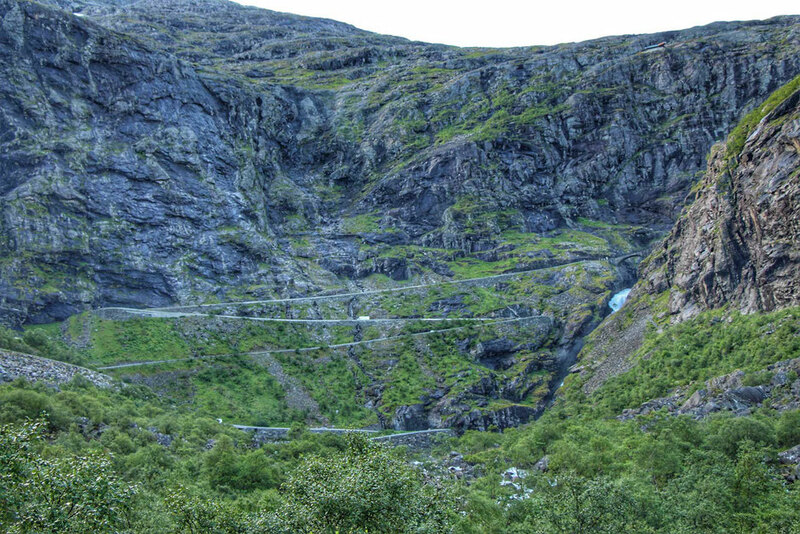 This road has 11 hairpin bends, climbs up 2815 feet (858m) above sea level and includes a bridge that crosses the Stigfossen waterfall. Note: This road is closed in the winter and typically opens late May or June until October or November. You can visit this road on your own or by bus tour. 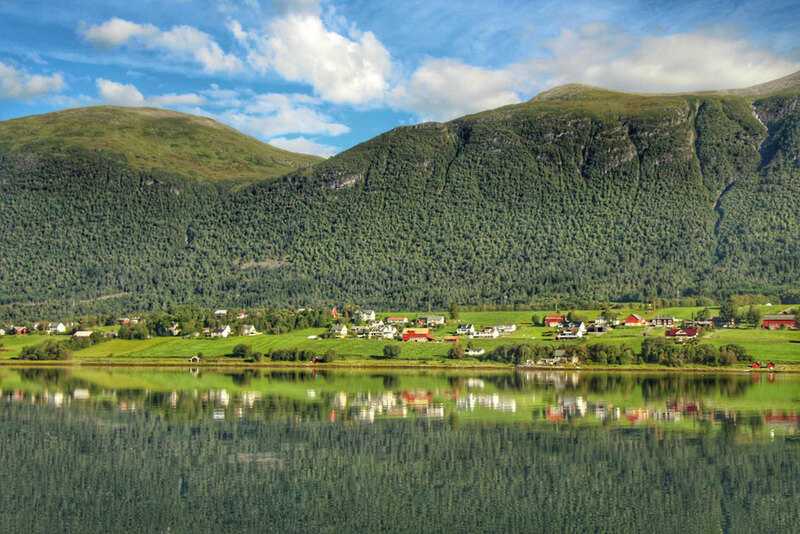 There are sightseeing buses that originate in Åndalsnes or Ålesund. We were lucky the kids were up early on this day so we could start our road trip early. 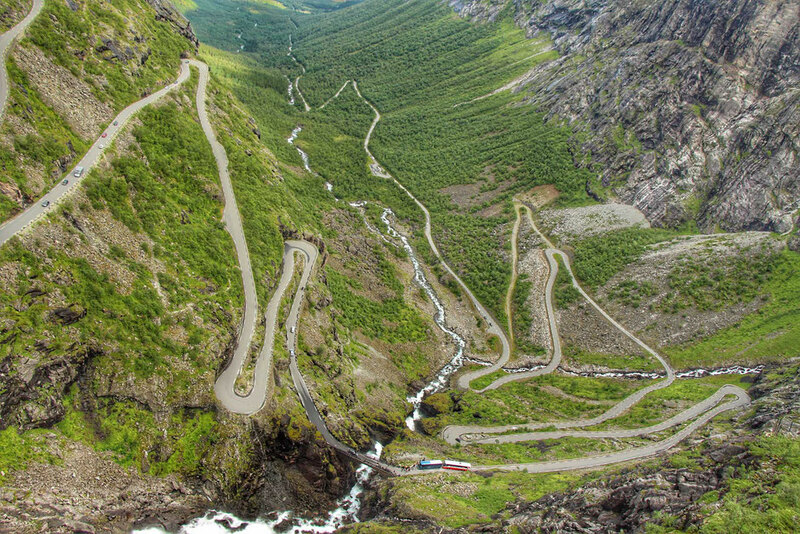 Apparently there are 2,000 cars and buses that drive the Trollstigen road in a day, so getting there early meant less traffic and less tour buses on the road. The scenery along the way from Molde to Trollstigen was impressive enough, but words can’t describe this incredible mountain pass. Make sure to stop along the road to look up at this impressive feat of engineering before you make your way up. 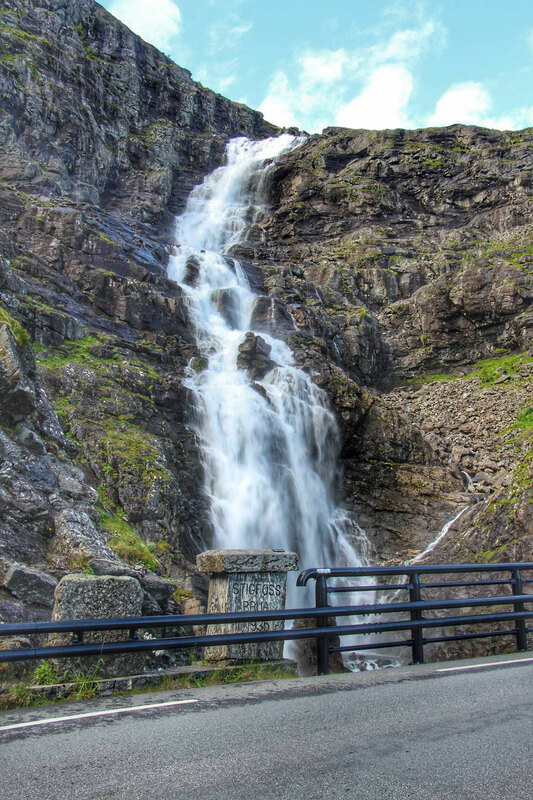 Not only is it the climb and drive along the hairpin bends that make this an exhilarating ride, but you pass by two spectacular waterfalls. 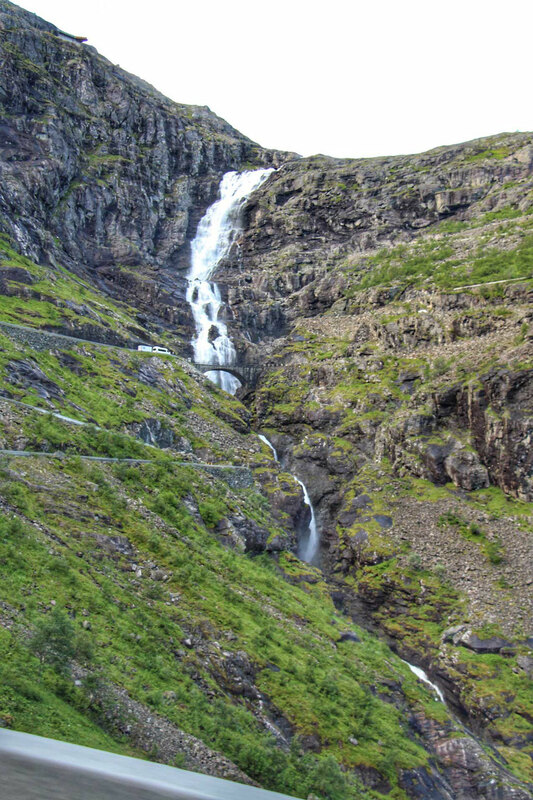 You pass so closely by the Stigfossen waterfall as you cross the bridge that you need your windshield wipers after passing. The road is quite tight and not a lot of room for two cars to pass, so everyone takes it nice and slow. We were there at 9:30am and the road wasn’t too busy, which we were grateful for. By the time we left at 10:30, the roads were noticeably busier and there were a lot of tour buses starting to arrive. At the top, there are raised metal pathways with glass along the sides that take you to two amazing viewpoints of the waterfalls and the incredible road below. There is also a really great visitor center, with toilets, cafe and gift shop. 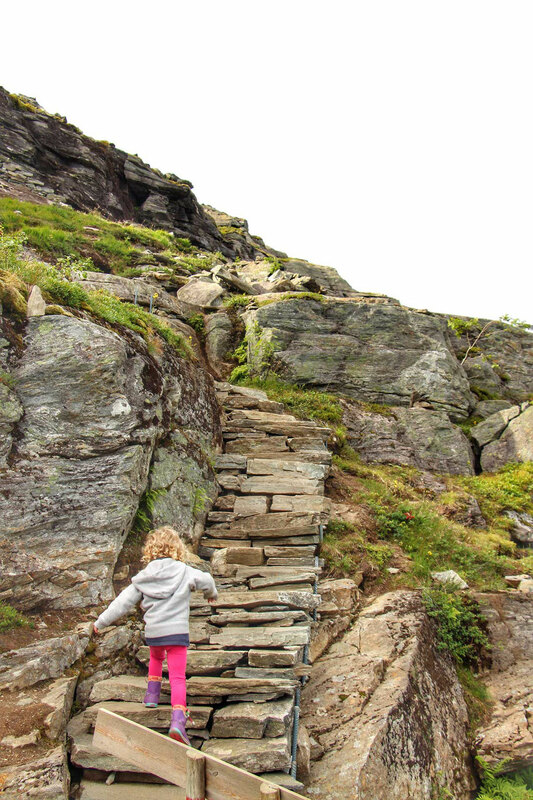 We hadn’t planned a lot of time to stay and explore around Trollstigen, but there are some hikes that you can do right from the platform. 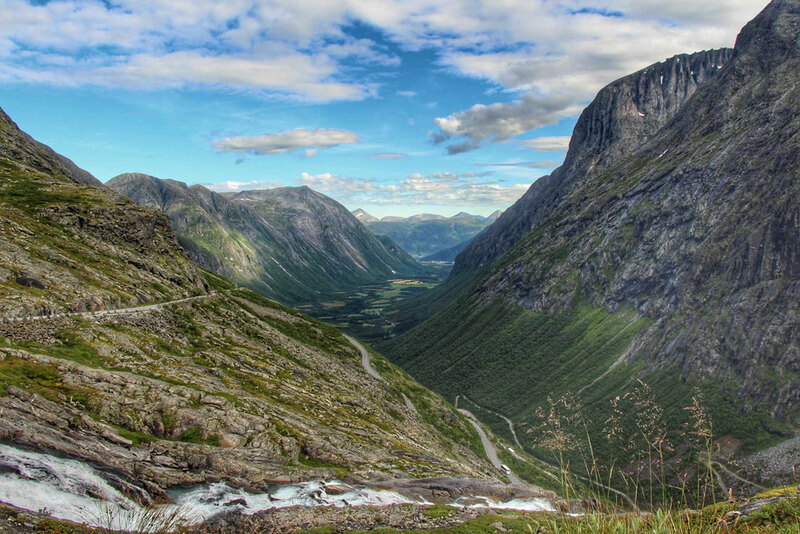 Apparently, you can also experience the Trollstigen by foot along a mountain path. As we continued our drive back to Ålesund, we were blown away by the scenery up in this area and had really wished we had allotted more time to hike and explore. 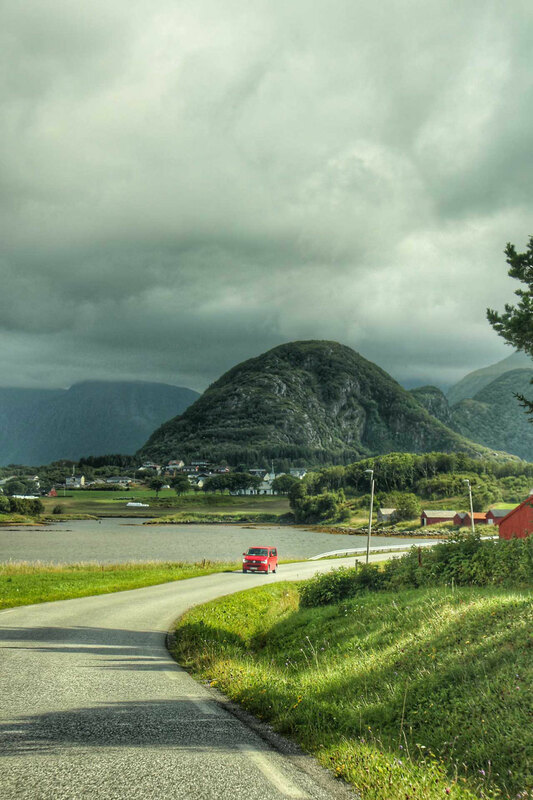 Along the drive to Ålesund, we drove through a valley filled with strawberry farms. We stopped for some strawberries at one of the roadside kiosks and are we ever glad that we did. We still talk about those strawberries that are the best and sweetest strawberries we have ever had. In fact, they were so sweet that our Airbnb host in Ålesund had made a sugar-free homemade jam using strawberries from this same area. 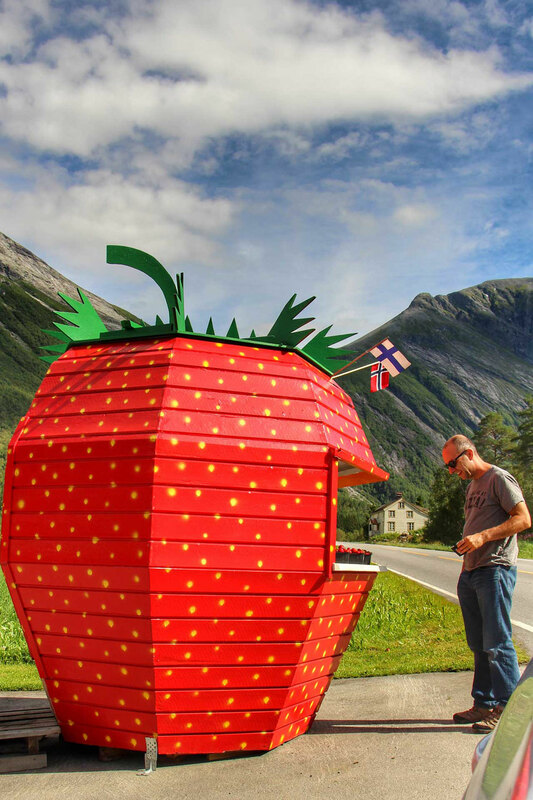 Tip: This Trollstigen bus tour stops in Valldal for some strawberries! 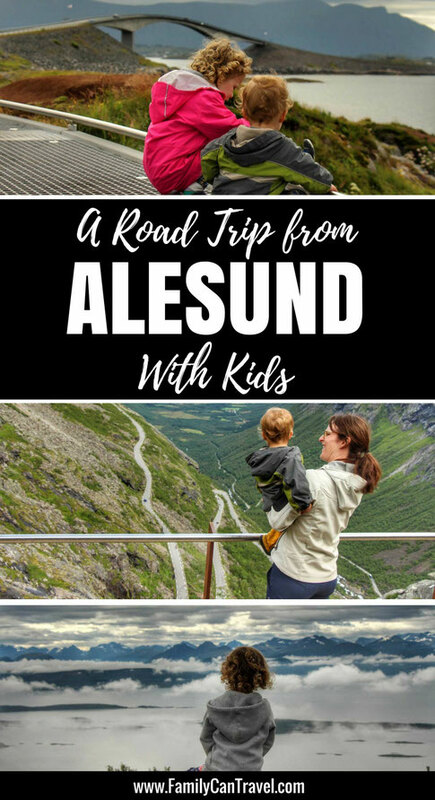 Up next, read more about the best things do in Alesund with kids! 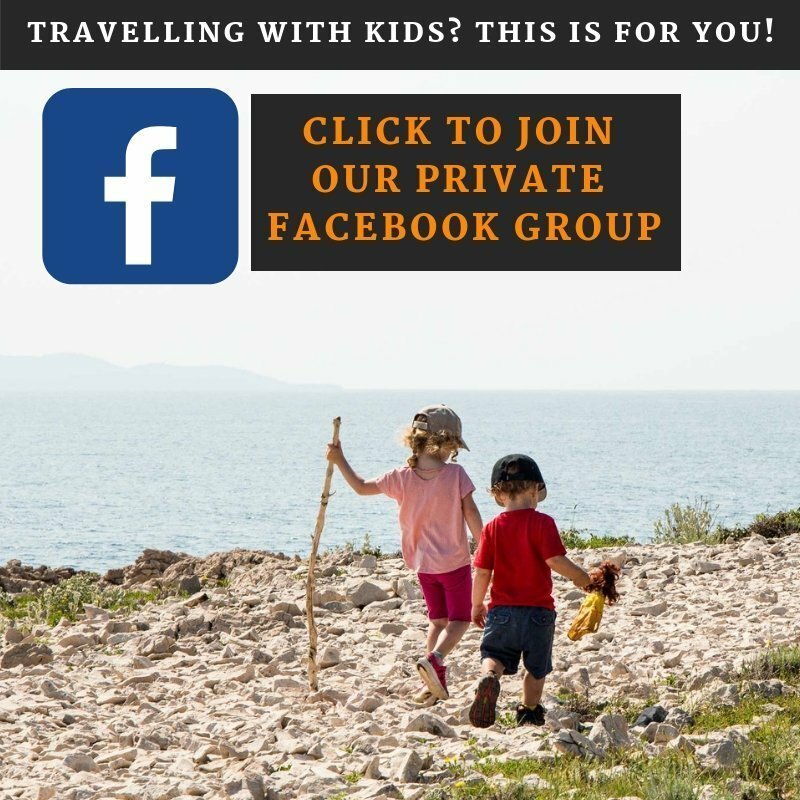 Have you been to the Molde area with kids? What was your favourite part? Tell us in the comments below.